I had my last final for the semester on Friday afternoon which means I have now welcomed summer back into my life! I breathed a sigh of relief on Friday afternoon, stepped outside, and suddenly realized that the weather was reminding me of everything BUT summer. The temperature is about 15 degrees cooler than it is normally for this time of year, and the rain hasn't really stopped ever since Friday. With summer break starting and the weather not cooperating, I knew I was in need of some summer shopping. Where do you think I headed? Lilly, of course. 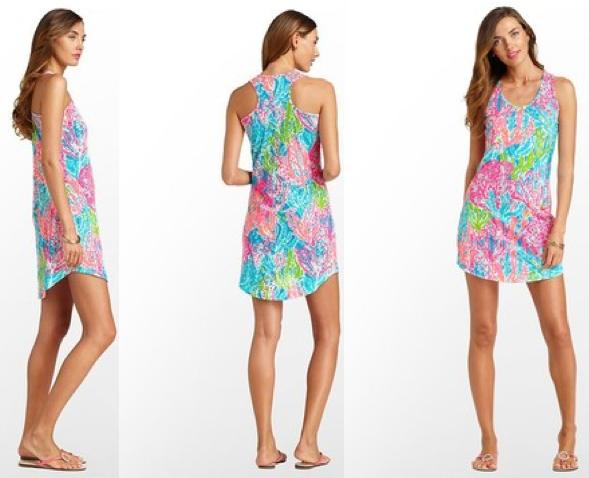 With the bright colors and summer appropriate patterns, Lilly is truly the best place to spend some time on a rainy day. With that being said, I am more ecstatic than ever over the new Lilly summer collection. I had so much fun playing dress up in the Lilly store. Plus, the Lilly girls at Lilly Pulitzer Phipps Plaza are so much fun. Mr. Darcy, no Mrs. Darcy, I mean The Darcy Dress in multi spicy stripe was a winner for me. The length was perfect, and I loved the bright happy stripes. The bow accented back was what really won me over. Too cute! The Cordon Dress was also a winner for me. With its light weight material, it is the perfect throw on and go dress for an afternoon of errands. Throw on a pair of wedges to dress it up a tad, and it will be the perfect night out outfit. It will also be wonderful on the extremely hot summer days. Light weight, breezy, and so cute! I chose it in the print that makes me feel like dancing, Lets Cha Cha! I also picked up the perfect summer beach tote for my Mama for Mother's Day! 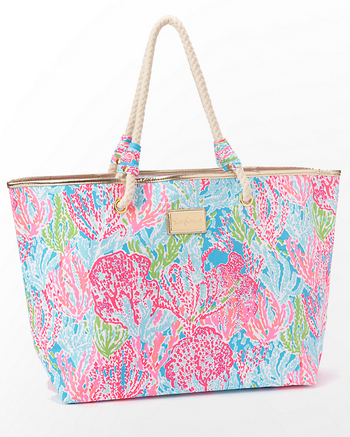 The Shoreline Tote will be a hit for her beach days. And don't miss out of the darling GWP currently going on. 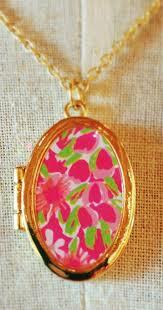 A Lilly locket is a must have for every Lilly girl. Even though the weather isn't reminding me of summer break, I am in a summer state of mind thanks to Lilly! Stay tuned for more shopping adventures! Yay for summer Lilly! I finish finals on Thursday and my dad and I are going to stop at the King of Prussia mall in PA on our drive home... they have a Lilly store and so much more! I can't wait! the stripes are so perfect, love it!